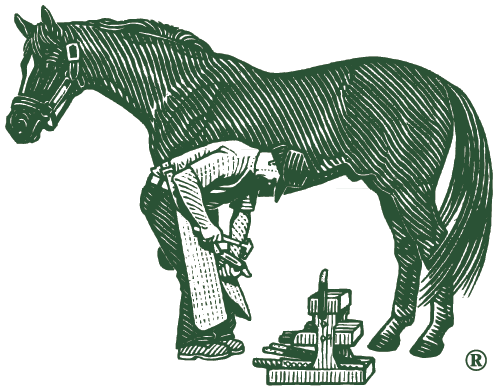 I thought I would share my own version of a Farrier’s Formula success story. This product has given my horse a second chance at an endurance career. Last August, I was in a 25 mile limited distance race with a horse I had been conditioning for several months. This was his first limited distance with the plan to move into longer endurance races. Halfway into the ride, my horse stumbled on a rock and then became significantly lame. I should mention that this horse had been getting trimmed via natural balance methods for several years but for this ride, was in shoes on all four due to the rocky footing. Initially upon exam, the vets at the ride thought he had broken his coffin bone because he was so acutely lame, but the x-rays and hoof testing the next day revealed severely bruised heals on both fronts and on about a 6-7 mm thickness of sole on both fronts. This horse had extremely thin soles, despite natural balance trimming. This was not good news for an up and coming endurance prospect. He spent all of the fall season in 2008 in therapeutic shoes and pads just to keep him comfortable and allow him time to heal. On bad days, he was given Bute for the pain. He was miserable. He hated being contained but trotting or running was out of the question as it was too painful for him. He continued to be tender on hard ground even with shoes and pads. By November, his soreness had lessened some and his pads and shoes were removed for the winter because of snow and ice. The vet wanted him to go barefoot for the winter and continue with the natural balance methods of trimming. At the end of February, we x-rayed again to see what progress his hooves had made. No improvements with the thickness of sole but the heal bruises were slowly growing out. Our main concern now was sole depth. At that point, the vet recommended we try Farrier’s Formula to encourage hoof growth. We began feeding him FF in March of 2009 and within a few weeks, we noticed some significant changes. He shed out his winter coat to the most beautiful shiny summer coat I have ever seen on him. Now, 5 months later, we are seeing some definite signs of improvement in his hooves. Not only have his hooves increased in overall size, and appears to be finally growing sole. I have decided to keep him barefoot for optimum blood flow in order to promote continued healthy hoof growth. When he is ridden, he wears Easy boots with pad inserts. The best news is that we were able to start conditioning again and hope to compete in one limited distance this fall. He is doing fantastic. I can’t tell you how excited I am. It was only a few months ago that I thought I would have to find a career choice for this horse that would keep him in an arena, which he would have hated. Had it not been for your product, our only option was to keep him in therapeutic shoes and pads (not exactly a great option for healthy hooves) for any hope of keeping him sound for riding. This fall, I plan to do x-rays again in order to see exactly what we have gained in sole depth. I would expect there to be a significant improvement. Your product has given this horse and I a second chance at a promising endurance career. I would (and do!) recommend your product to anyone having hoof issues with their horses. Even my farrier is amazed at how well this product has worked. We wouldn’t be without it now.